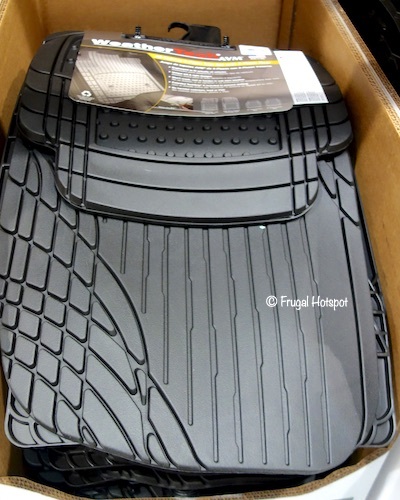 These car mats are engineered to fit virtually all vehicles with its trim-to-fit design. 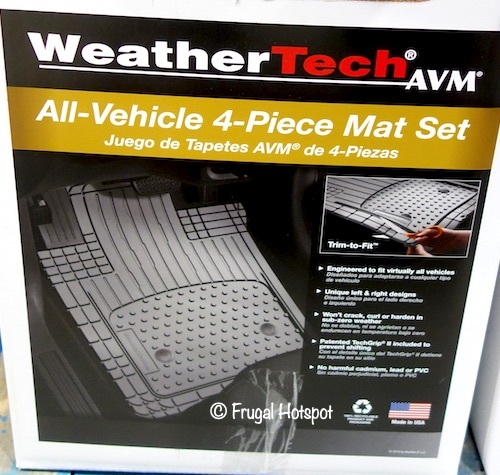 The WeatherTech 4-Piece Trim-to-Fit Car Mat has unique driver and passenger designed mats with a patented TechGrip II that prevents shifting. The material won’t crack, curl or harden in cold weather. 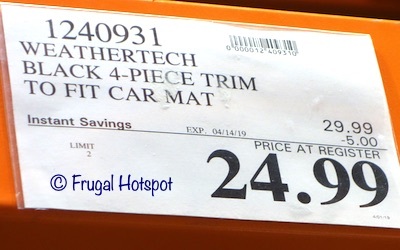 Select Costco locations have the WeatherTech 4-Piece Trim-to-Fit Car Mat on sale for $24.99 (after instant savings), now through April 14, 2019. That is $5 off Costco’s regular price of $29.99. While supplies last. Item #1240931. Color selection may vary by location. 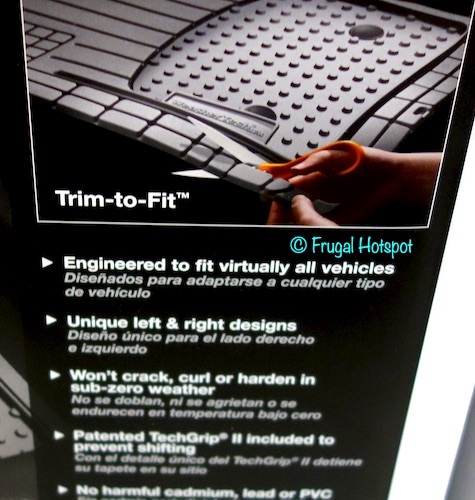 The mats also feature a tall outer rim and reservoir to help trap water and debris from your vehicle’s flooring. It’s 100% recyclable and made from advanced rubber-like Thermoplastic Elastomer (TPE) compound that is virtually odorless and latex-free. Plus, it does NOT contain harmful PVCs, cadmium, or lead.